† Pakistan's first comprised 19 overprints of Indian stamps and there seems little point in listing them all here. In 1947, India was split to form Pakistan, with some princely states remaining independent and Las Bela joining Pakistan. The state of Bahawalpur was briefly independent before joining Pakistan. Pakistan became a republic in 1956. East Pakistan was given its independence as Bangladesh in 1971. 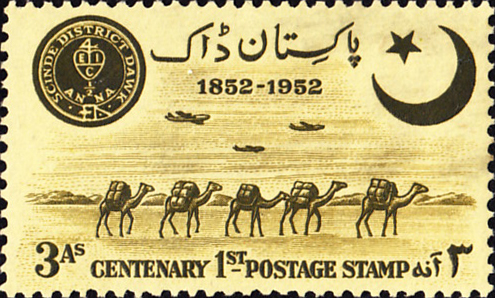 One of the areas included in Pakistan was Scinde, the Indian state that released the earliest Asian stamp. The centenary of that issue and Pakistan's 5th anniversay was celabrated in 1952. Bahawalpur was a former feudatory state that was briefly independent following the partition of India in August 1947 into India and Pakistan: in October of that year it joined Pakistan. ‡ Gibbons lists 17 overprints of Indian stamps issued between the passing of the Indian Independence Act and the event of partition, hence the numbering of SG18. 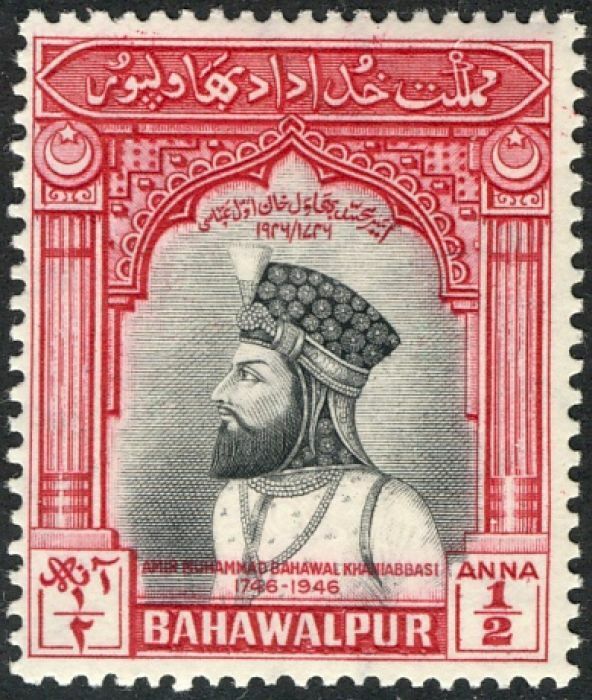 Bahawalpur continued to issue stamps for internal postage until 1953. Images from David Olson, NB.